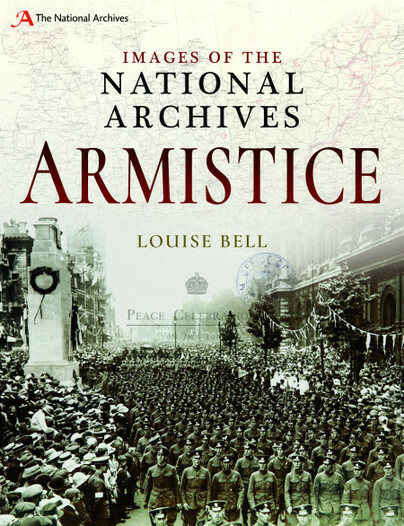 You'll be £8.99 closer to your next £10.00 credit when you purchase Images of The National Archives: Armistice. What's this? Many rarely seen images will be provided to support the narrative and further highlight the depth of The National Archives' First World War records. Based on the author’s time as First World War Diverse Histories Researcher at The National Archives she provides a narrative of the final year of the War woven with over 100, many unfamiliar, images drawn from the archives. The Chapters are titled; Treaties, Demobilisation, Women’s Uniformed Services, Disability, Peace Day, The Unknown Warrior and The Cenotaph and this will give some idea of the scope of the book. This is an absorbing book with many powerful images. Louise Bell is an independent researcher specialising in the history of prosthetics, with particular focus on the First World War. She was the First World War Diverse Histories Researcher at The National Archives for over two years, where she researched and disseminated information on numerous aspects of the First World War. Disability caused by, and medicine used in, this conflict are her main areas of interest.